Spring break for the kids always finds us on the road somewhere. This year, it was off to our place in Santa Barbara for a couple of days mid week to celebrate Blake’s sweet 16th birthday. After the visit to the requisite favorite eateries and the beach, work had to be done on the house, which included taking a look at a couple of arcade systems that were apparently on the fritz. 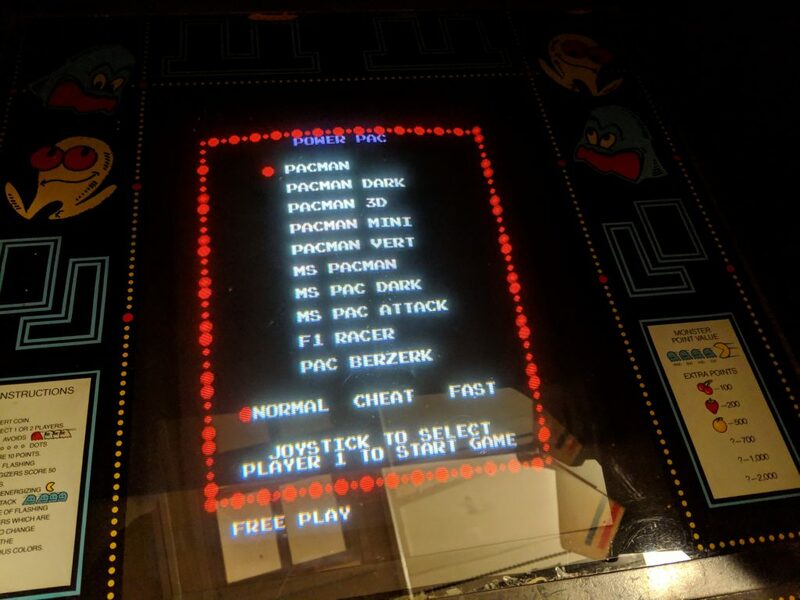 Fortunately, Pac-man was not reported to have a problem, but I still took the opportunity to give it the once over. The system is one of my more reliable and cosmetically/functionally sound units. 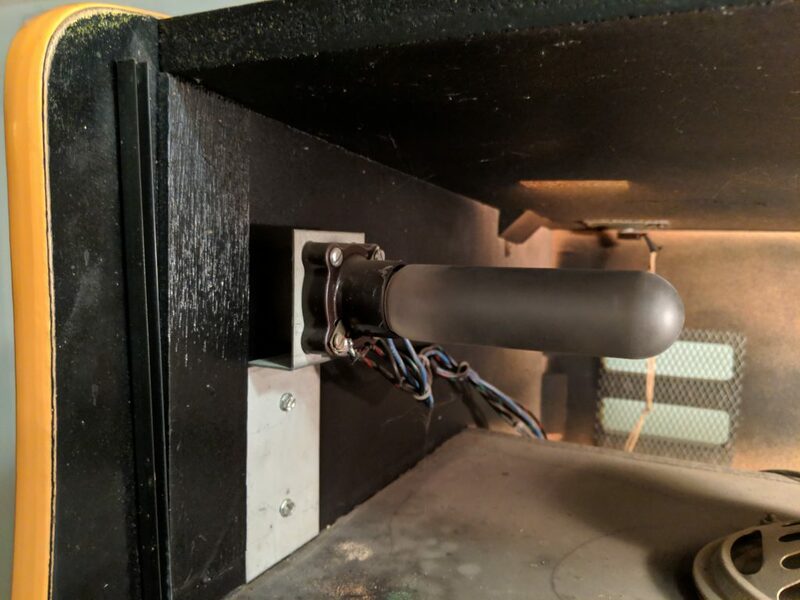 Sure enough, everything was pretty much in working order. The only issue I noted was that one of the bulbs in the marquee was out. 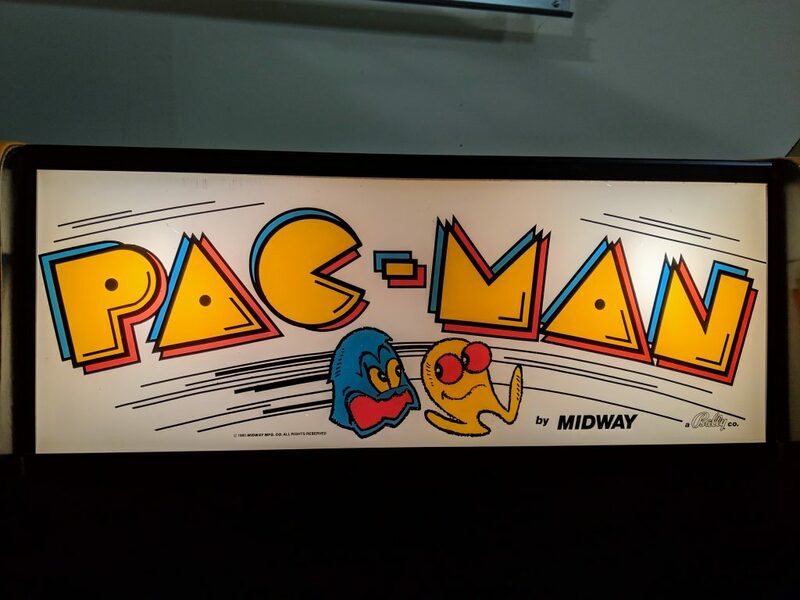 Of course, Pac-man has to be “different” and use some kind of funky custom bulb for the marquee instead of a standard fluorescent tube like just about any other 70’s/80’s game. I’ll need to research to see if I can find a proper replacement. 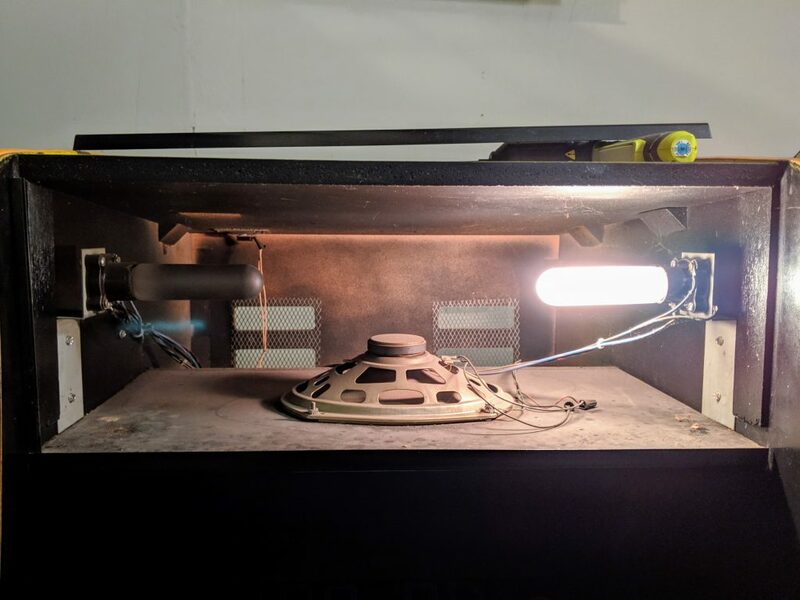 In the meantime, I installed a couple of basic 40 watt ceiling fan light bulbs which work, but there is a somewhat noticeable dark “gap” in light in the center of the marquee because of the way the bulbs are configured. Good enough for now, but hopefully I can track down a more geometrically suitable set of bulbs. Everything else seems to be working just fine, including the multi-pac upgrade that was installed many years ago. I guess the only other thing that may need to be looked at in the future is the slight curling that is occurring at the very right edge of the monitor. Most likely a capacitor or two will need to be replaced on the flyback, but, fortunately, not for a while.